Will they find a common ground? Billionaire Lex Fitzgerald has a knack of outbidding and outsmarting his opponents and has never met a challenge he can’t win. So when an old-fashioned auto-parts maker threatens to give a coveted contract to his competitor because Lex is still a single man, he comes up with the perfect solution. Find a temporary wife—a top notch actress who can convince his business associates and nosy family he is a happily married man. Stuntwoman Jillian Finnegan hates Hollywood. Doing stunts is just a temporary gig before she goes back to her family business: performing death-defying acts in front of adoring fans. Then she learns that her father borrowed money from unsavory characters and must sell the company to pay them back. Desperate for cash, Jillian accepts Lex’s offer. But one evening with Lex and Jillian realizes that the attraction between them is going to be a problem. It could derail all her plans. Little does she know that from the moment they met, Lex knew he’s found what he’s been searching for. Not an opponent to outsmart. Not a challenge to be won. And definitely not a temporary wife. He has found the woman he’s meant to love. But can one adoring fan be enough for Jillian? 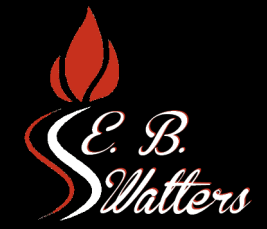 E.B WALTERS (Ednah Walters) grew up reading Nancy Drew and the Hardy Boys and dreaming of one day writing her own stories. She is a stay-at-home mother of five humans and two American short-hair cats (one of which has ADHD) and a husband. When she is not writing, she’s at the gym doing Zumba or doing things with her family, reading, traveling or online chatting with fans. Ednah also writes YA paranormal romance. RUNES is the first book in her new series and there are currently three other books published in this series. SOULS (Grimnir book 2 a side story to the RUNES series) and WITCHES book 4 will release 2014. Read more about this series and the world she's created here www.runestheseries.com.